This summer we’ve been running a beta test with over 300 FreeAgent customers, deploying a redesigned UI to their accounts and iterating it based on their feedback. We’ve now finalised those iterations and are getting ready to launch the redesign to all of our customers, so we wanted to share the story of the beta so far and the lessons we’ve learned along the way. Back in May we first spoke about our plans to redesign the header as the first step in our masterplan to deliver a new FreeAgent interface ready for the brave new world of 2018. It’s been over six years since we last launched a major update to the FreeAgent UI, so this redesign has been a while coming. We wanted the redesign to be more than just a visual refresh, with other goals including streamlining page layout and performance, better consistency across mobile and desktop and improving accessibility. We also knew that a key objective of this project would be to actively involve our users and to learn from their feedback every step of the way. To do this we launched a beta group and invited our users to ride the first wave of a new FreeAgent. Through feedback and ideation this group helped shape our direction as we iterated toward a completed design. We began consulting our users in advance of the planned design changes by forming a Google discussion group to share regular updates on our work. Breaking down the numbers, we were lucky to have 310 active members posting over 250 comments, with a total of 2063 views across the board. Throughout the beta we received a great range of feedback on both the design and on wider workflow ideas. We’ve collated all of this feedback, feeding the bigger ideas into our roadmaps and acting directly on the tweaks and fixes for the new interface. Launching with our new header, the feedback was overwhelmingly positive, with the majority liking the streamlined design and the sense of space it provides. Along with the positive vibes, our eagle-eyed beta users caught a bunch of bugs that we might have otherwise missed had we rushed to a wider release first. In the case of the header design, the feedback suggested that we’d hit most of our marks with this release and so we focused on shipping small tweaks and improvements. The feedback we received about the footer, however, led us to make some much more significant changes. The brand new FreeAgent header and footer! We originally shipped to the beta with a new footer that was a clear variant on our existing design. But based on feedback from the group, and inspired by the positive response to the slimline header, we returned to the footer design to try and push it that bit further. Much of the feedback suggested that the footer was quite dominant and took focus away from the content, especially in the less busy screens. Based on this, and taking the opportunity to update some of our support links, we’ve focused on delivering a slimmer, more focused footer which now better matches the header and is more consistent across both devices and account types. Accessibility is a crucial part of why we’re doing this work and this was highlighted in much of the feedback we received. Historically, FreeAgent hasn’t always been great in this regard, but we recognise that inclusivity is extremely important to our goal of making accounting easier for everyone. With this in mind, we’ve worked hard to ensure each new element is built with accessibility in mind from the very start. We’re setting out to meet, at a minimum, the WCAG AA standard throughout the redesigned parts of the app and we’re building a design system that will make that standard the default setting for future development. We’ve also added regular screen reader testing and keyboard navigation checks to our UI development process. As part of the redesign we’ve also rolled out a new feature to help you find the help you need, right when you need it. Our new support bot Ruby the Robot lets you ask questions and get answers from our vast Knowledge Base of helpful articles, all from inside the FreeAgent app. 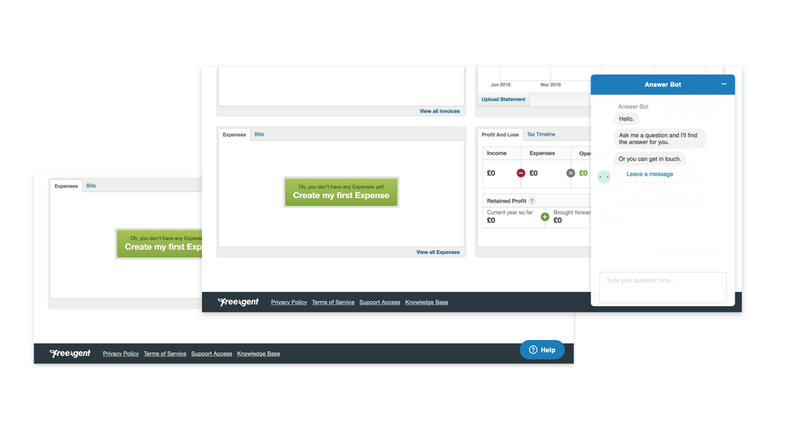 These are only the first steps in our roadmap for delivering a new FreeAgent UI. Building on the positive approach of the beta so far, we’ll be continuing to share and iterate on our designs through the beta group to ensure that we’re all learning from each and every change we make. 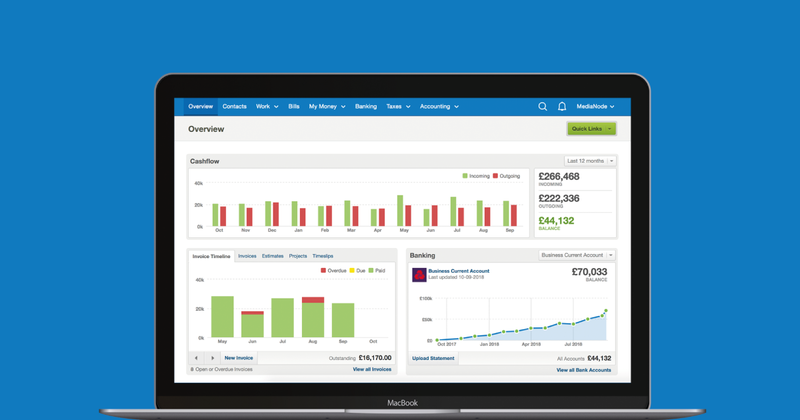 You’ll see the new design go live in your FreeAgent account on Wednesday 26th September, so keep your eyes peeled! 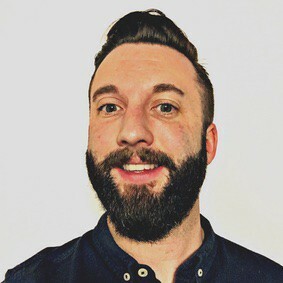 Craig Clarke is a Product Designer at FreeAgent, the UK online accounting software made specifically for freelancers, small business owners and their accountants. 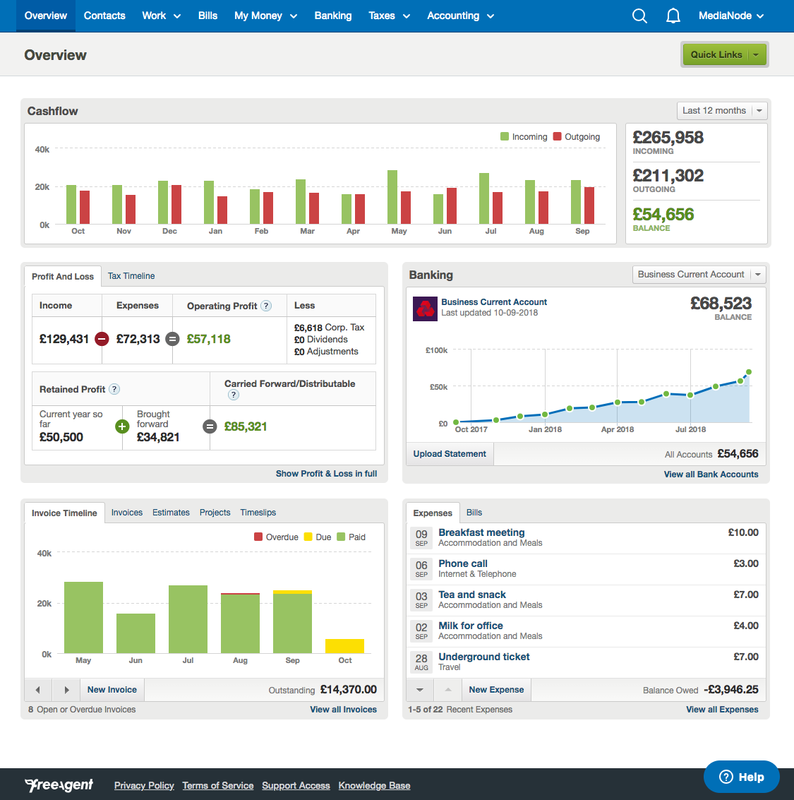 FreeAgent’s online accounting software helps freelancers take control of their finances, covering everything from invoicing to tax. Try it at freeagent.com.